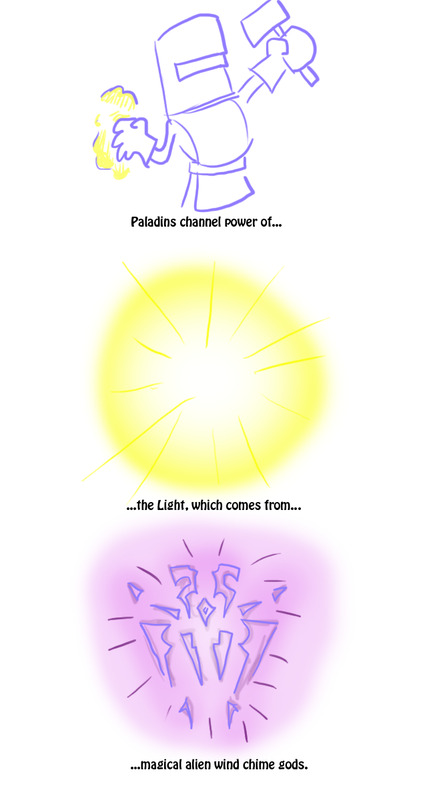 Alright, so paladins have come into play, and it seems rather necessary to talk about our armored pals and where they get all of their amazing superpowers. Name that paladin! Hint: Draw a beard on him. Age him a little. Give him a hammer. It's Uther. Let's start with our buddy Uther here. 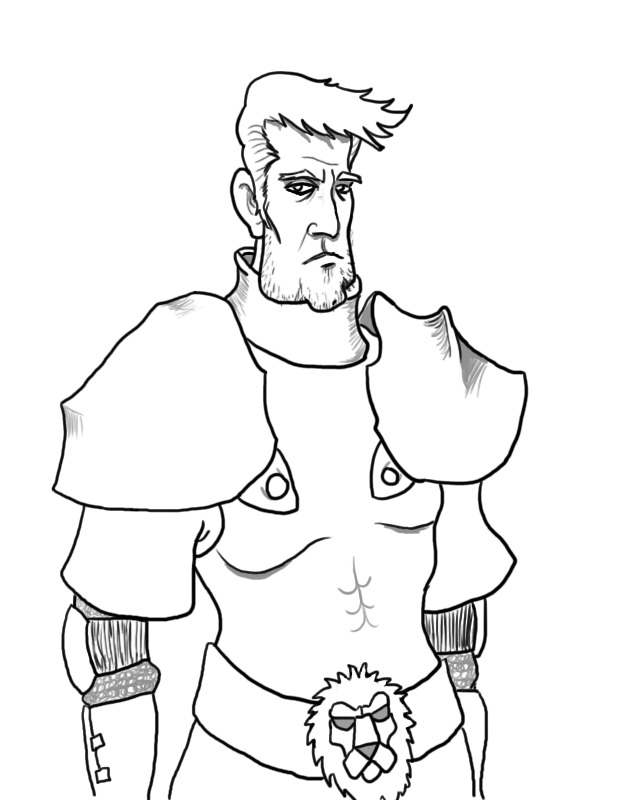 Back during the First War, he was little else but a cleric (remember those guys that looked like hippies?). However, after the orcs stomped through Stormwind, the Bishop of Northshire Abbey, Alonsus Faol, had his world shattered. Faith (and magic) alone was not enough to combat the darkness and evil that plagued the world. So he decided to weaponize faith with the help of the apprentice cleric Uther. Knights armed to the teeth were trained in the ways of the Light and clerics trained with the knights in the ways of martial combat. The first of these Light-wielding knights was Uther Lightbringer (although he wasn't apparently known as the Lightbringer until much later; Thank you retcons.). Uther spread the idea of combining martial prowess with mending the sick and tending to the fallen and created the Knights of the Silver Hand, which are the paladins that we see in Warcraft II. Now you may be asking, "What is this so-called 'Light'?" The answer seems pretty simple. In the First War, it was a religion much akin to Christianity. They even referred to the Light as "God." It was left rather intentionally vague, and by the Second War, the entire idea of a deity was discarded, and the Light became more of a moral philosophy made manifest through kickass laser magic. Kind of like if you were a good person in life, you got the ability to blow people apart with your mind. However, the truth behind the Light is much more bizarre. Okay, so the Light doesn't fully come from the Naaru (magical alien wind chime gods), but it, well... mostly does. There are other sources, but the majority of the Light's power comes from them. Who are the Naaru? Well, I guess that's a story for another day. Warcraft lore is out of hand and I hate to see such things begin to stain my precious nostalgic Warcraft II.